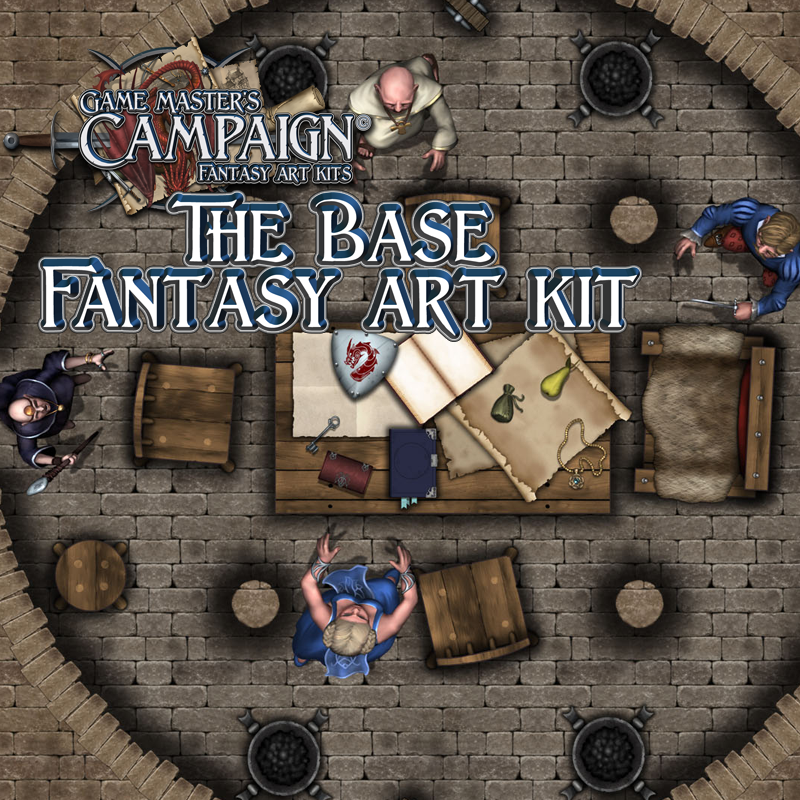 This is the first art kit created under the Game Master’s Campaign brand, meant to be the base kit to cover most needs to create fantasy campaign maps. The artwork is provided as .png files with transparency, making it easy to create detailed maps, using the tokens on top of them. When you purchase this art kit, you will get the Minimap art kit for free. 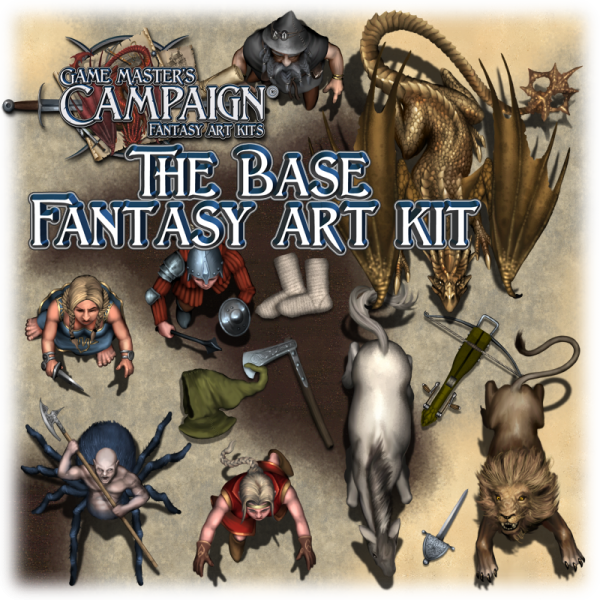 The GMC Base fantasy art kit is compatible with other GMC addon art kits, and compatible regarding scale with the GMC Sci-fi art kits. This purchase is for a digital download of several images, approximate size is 1774 Mb in 12 zipped files. -over 170 animal,creature & monster tokens ranging from mice and rats to large dragons. -over 70 character tokens: male and female versions of dwarves, elves, humans, halflings, half-orcs and gnomes. -over 170 item tokens, ranging from bones to armors, keys and much more. -a large selection of detailed tiles displaying stone/wood walls, that allows you to create a wide range of different dungeons and buildings. -a mine cart track and cart tileset system. -Stone wall tileset, with and without snow added ontop of it. -Roof tileset, for your buildings that doesn’t show the interiors. -Stone tower tilesets. 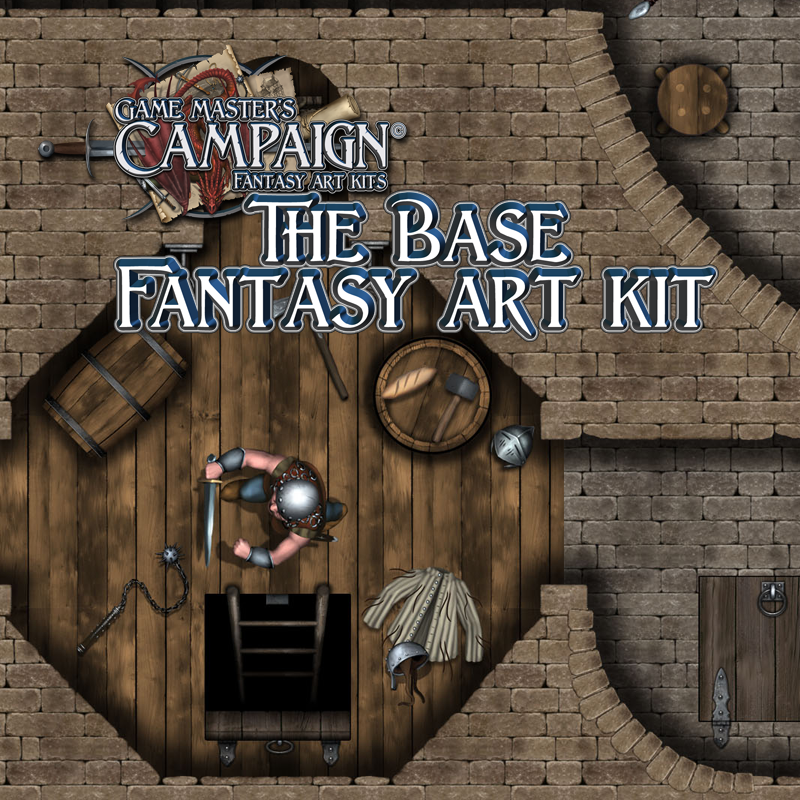 -Premade rooms, getting you and your rpg party faster into the action, these are made to work nicely with the other tilesets found in this art kit. -a large selection of terrains, allowing you to construct detailed terrains and place rocks, vegetation, water sources and more ontop of them. Examples would be water, dirt, gravel, grass, sand and more. -a large selection of inventory objects, allowing you to add furniture to your buildings, such as chests, barrels, beds, tables and much more.